Scotland's capital city is an incredible gem that should be on every traveller's bucket list. It’s rich past, royal legacy, and elegant medieval streets will make you wish you didn’t have to leave. Charming, ancient, and elegant all in a single package. Visit Edinburgh if you are looking to fall in love with a brand new place. The top attraction in Edinburgh is the Edinburgh Castle, located in Castle Rock. This impressive building is a historic fortress that is believed to have had human occupation since the Iron Ages. A trip to Edinburg is not complete with a visit to the castle. Edinburgh’s other magnificent sights including the Holyrood Palace, Mary King’s Close, and Scottish National Gallery, make this city a top travel destination for the history and archaeology enthusiast. See Edinburgh in a new light by joining one of their free walking tours. This will give you a chance to mingle with the locals and immerse yourself in Scottish traditions free of charge! 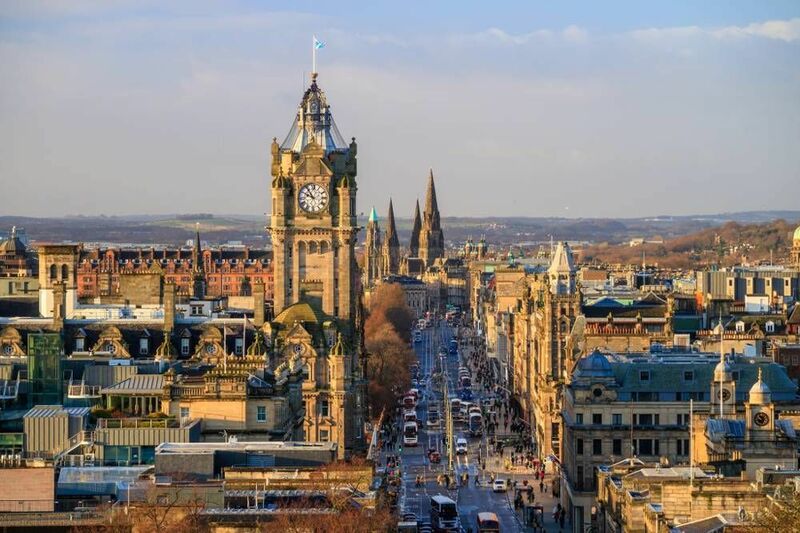 This tour runs for 2 hours and aims to hit the top attractions and sights of the city of Edinburgh. Expert guides will walk you through the city, infuse you with interesting information, and answer any questions you may have. These yours are a perfect option for the first timer in Edinburgh looking for a fun and friendly alternative to see the city! This self-guided walking tour is the ideal choice for the traveller that wants to manage their own time. It is available as free download from BudgetTraveller.org and can be easily modified to your needs and interests. This tour features 50 of the best attractions in Edinburgh and includes an illustrated map of the city. Are you from Edinburgh and want to be a tour guide? Please get in touch by submitting your details on this page!